This one has been giving me fits. I’ll be up-front: I’m not 100% sure I know who Alfred Lane is named after. My best guess is that he’s named after the brother (Joseph Alphonse Lamonte) of the development’s builder (Charles Lamonte). But any confirmation that Joseph Alponse Lamonte used “Alfred” as his middle name — or any other leads — would be appreciated. 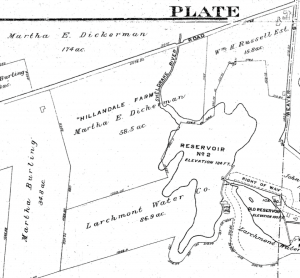 The land occupied by Alfred Lane was a part of Watson B. Dickerman’s massive Hillanddale Farm located off Quaker Ridge Road. Dickerman was a wealthy Wall Street businessman. He was president of both the New York Stock Exchange as well as the New York Zoological Society. He retired from business to focus on breeding horses for harness racing (“trotters”) and Guernsey cows in 1909. At Hillanddale, Dickerman established a first-rate horse breeding operation and Dickerman was inducted to the Harness Racing Hall of Fame as “immortal”in 1976. 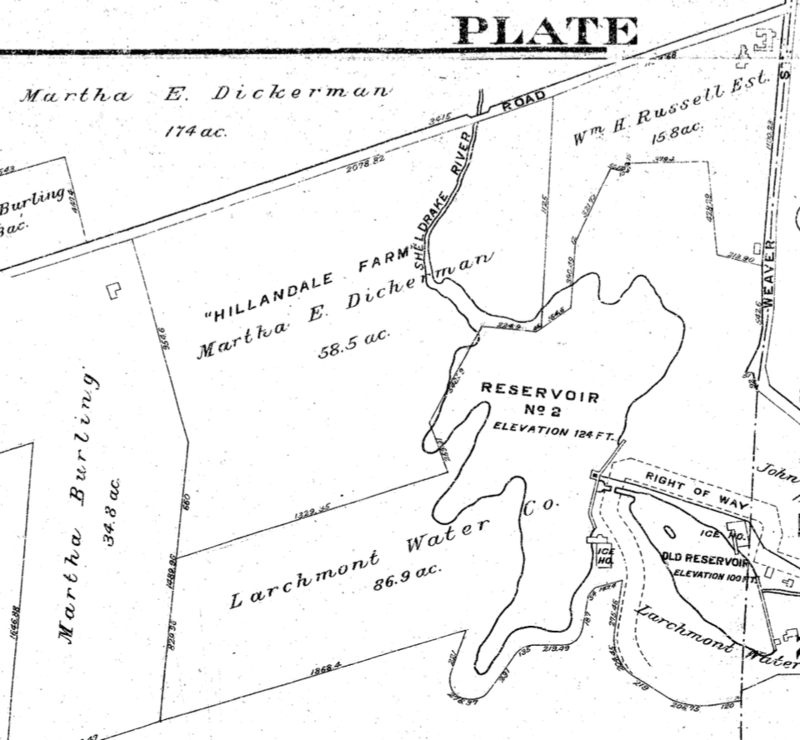 After Dickerman died in 1923, he family began selling off parcels of Hillanddale Farm, much being sold to the Ward family. James Ward had founded Ward Baking Company in 1849 and through a series of acquisitions it eventually became the outfit that sold Wonder Bread and Twinkies. James’ son Robert established an estate named Homewood on the south side of Quaker Ridge Road (across from the present location of Hudson Country Montessori, which was Homewood’s carriage house). 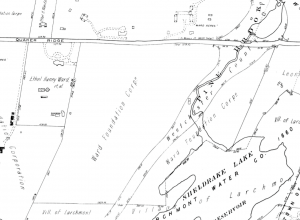 The land that Alfred Lane occupies was a field that was directly adjacent to Homewood. In the late 1940s and 1950s, the Wards sold off parcels of their land. 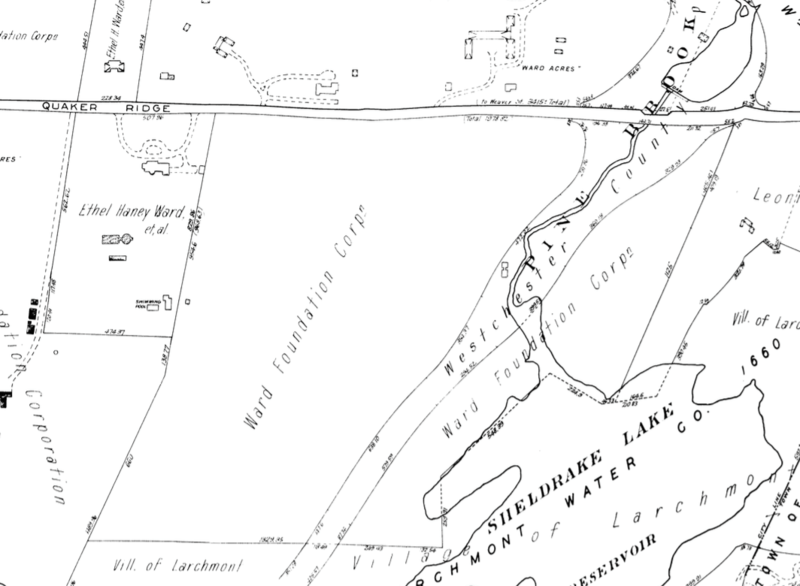 Starting in 1947, parcels of land were sold by the Wards to “Pinebrook Heights, Inc.,” which is sometimes designated as the subdivision in which Alfred Lane is located. Newspapers from the 1950s, however, unambiguously refer to Alfred Lane as being part of “Wykagyl Estates,” listing Charles Lamonte as the builder. Lamonte studied Architectural Construction at Pratt Institute and received a Bronze Star during World War II. After the war, he became a building contractor in Long Island and Westchester and eventually in Tampa, FL where he built Town N’Country Park. My best guess is that the street was named after someone that Charles Lamonte knew. Avis Lane appears to have been named after his wife, Avis Jones Lamonte. And Fieldmere Street appears to have been the street on Long Island where his mother lived. I could find no connection to anyone expressly named Alfred. And try I did. Hard. But according to some records, his brother’s middle name was Alphonse.